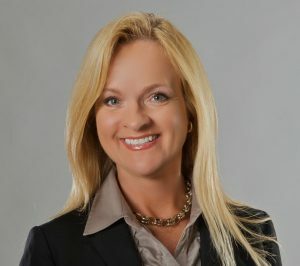 Tuesday founded Strong Performance Management, LLC, in 2011 after participating in a personal branding program offered by the Indiana University Alumni Association. During the exercises in the personal branding program Tuesday gained a greater appreciation for how our uniqueness can position us for the evolution of our careers. With 54% of adults in the labor force saying that it will be essential for them to get training and develop new skills throughout their work life in order to keep up with changes in the workplace (Pew Research, October 2016), Tuesday recognizes the need to serve as a resource for professionals willing to accept responsibility for their development. Formerly, Tuesday was in supervision in a customer service call center focused on hiring, coaching, performance management and professional development. She also has extensive experience in management and project management in academic environments with expertise in strategy, marketing and advancement. Tuesday received a Bachelor of Science Degree in Human Resource Management from Saint Mary-of-the-Woods College, a Master of Science Degree in Human Resource Development from Indiana State University, and a Master of Science Degree in Strategic Management and a Master of Business Administration Degree from the Indiana University Kelley School of Business. She also completed the Management Development Program at Harvard University in Cambridge, Massachusetts. When not Being Simply Ready, you can find Tuesday biking toward her daily wellness goals, in Indiana where she lives with her husband and their dog. FIRST JOB: Customer service at a fast-food restaurant. FAVORITE WAY TO UNWIND: Reading, writing and walking on the beach. ENTHUSIAST OF: Animals, whole foods and spending time with her husband appreciating nature.